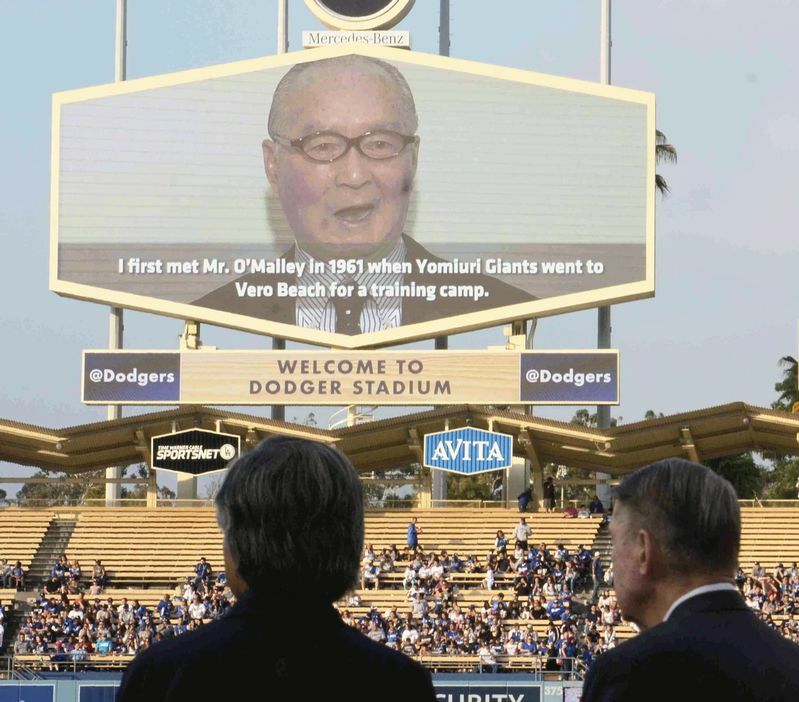 LOS ANGELES — Former Los Angeles Dodgers owner Peter O’Malley received congratulatory messages from Japanese baseball legends on Wednesday during a ceremony here to award him The Order of the Rising Sun, Gold Rays with Neck Ribbon. O’Malley, 77, received the honor for promoting exchange between Japan and the United States by inviting coaches and young players to his team’s training camps. The former owner also played a leading role in negotiations that brought pitcher Hideo Nomo to the Dodgers in 1995. O’Malley’s father was also the team owner, with their combined tenures spanning nearly half a century. Nomo attended the ceremony at Dodger Stadium, organized by the Japanese Consulate General in Los Angeles. Video messages were shown from Yomiuri Giants Lifetime Honorary Manager Shigeo Nagashima and Fukuoka SoftBank Hawks Chairman Sadaharu Oh. Nagashima described his first encounter with O’Malley in Vero Beach, Fla., in 1961, while Oh expressed his gratitude for O’Malley’s contributions to the sport in Japan.